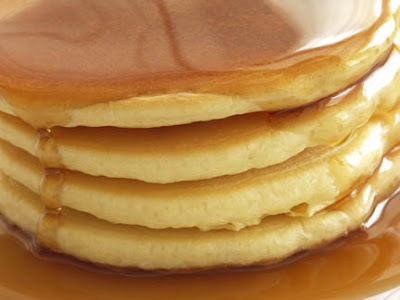 Joe Blogs: Who is St.Pancake? Today was the day of St. Pancake the guy who.. the guy that saved the world with a pancake. A bold and adventure seeking person with a gentle heart but a warrior in battle who would bring down enemies with the force of his pancake throwing skills. Today we eat pancakes to remember him! Something like that anyway! I love my pancakes but at 4pm this afternoon I got a call from my children's mum to inform me that our pancake adventure was over as she wanted the kids to have an early night due to Boy's birthday tomorrow. With my girl not feeling the greatest as her tooth is causing her real problems our pancake action has been postponed until the weekend! Race for the White House tonight to see who will be in the running for becoming the next President. I believe that it is looking increasingly like being a Democrat as all the noise is coming from their direction. The headlines on whether we will eventually see the first woman president or the first black president. Time will tell but whoever it is many it seems will just be happy to see the end of the Bush era!! Trying to jump from a Plane!! Can you do the Captain Walk??? The day of the boy!!!! It's your year, love it? Joe Dawson. Powered by Blogger.